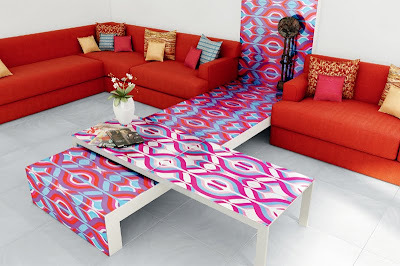 Inside the entire 14 tiles collection. 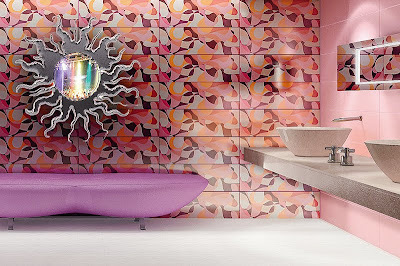 Karim Rashid brings his recognizable organic and geometric color-laden patterns into a special collection of wall and floor tiles called R+Evolution for Ceramiche Refin and DTS. 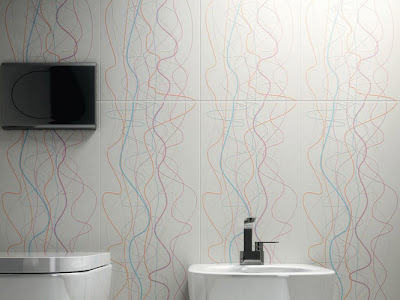 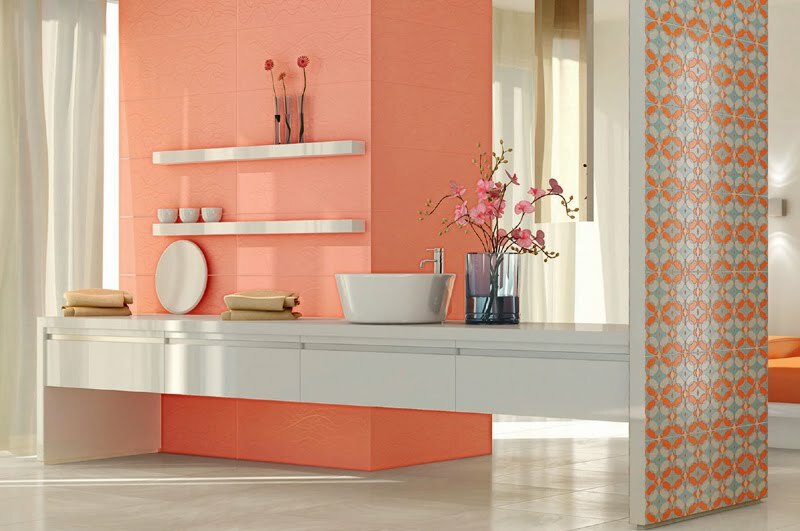 The R+Evolution collection include wall tiles in 5 different colors,9 accent tiles and a floor tile.